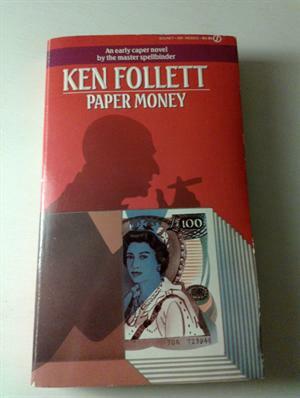 by Ken Follett | Mystery & Thrillers | This book has not been rated. "A politician wakes with a beautiful girl; a criminal briefs his team; a tycoon breakfasts with a Bank official. Then three stories break: an attempted suicide, a hijack, and a takeover bid. They seem unrelated – until Evening Post reporters ask questions. Why is a Jamaican bank in trouble? Who drove the Rolls-Royce seen near the raid? Who was the man with gunshot wounds? 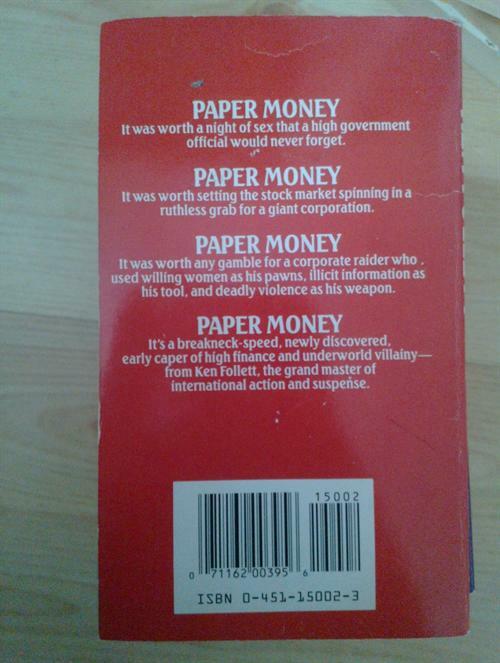 As the day wears on, new questions arise – about paper money." Released outside Sparebank 1, at Søndre Torv. found a free and travelling book. It want to travel around and meet new readers.